The farther away from the receiver an aircraft is flying, the higher it must fly to be covered by the receiver. What is the relation between height and coverage in this case? The ADS-B signal used by FR24 is transmitted on 1090 MHz. Signals at that frequency do not follow the curvature of the earth very well. They work best in line of sight. 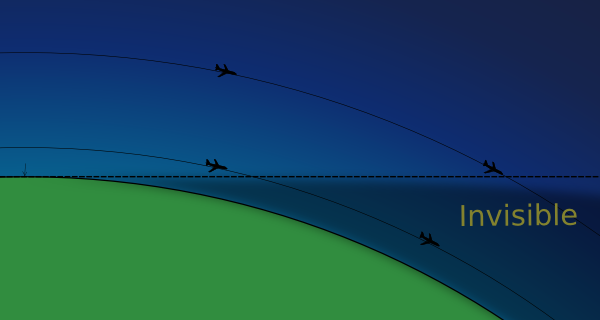 Aircraft far away from the receiver must be at high altitude to be above the horizon. At 1000ft, the horizon is about 33 nautical mile away. Aircraft further away will be shielded below the horizon. For 40000ft, the horizon is about 220 nautical mile away. Due to a slight refraction of the signal the practical range is about 15% further. Not the answer you're looking for? 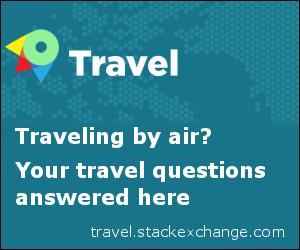 Browse other questions tagged ads-b or ask your own question. How can I improve the reception of my coaxial collinear antenna (1090 MHz)? What is ADS-B and who needs it? What is the differences of ADS-B and geometric height? Is an ADS-B IN able to receive signal from ADS-B OUT of the same aircraft? Is there a planned ADS-B update that would allow ATC to view an aircraft's traffic coverage? What is the difference between ADS-B UAT and ADS-B ES? How can I get the ADS-B GNSS Antenna Offset and Position Offset? How to detect landing and takeoff using the value of GND field in ADS-B messages? Should ADS-B airborne and surface squitter transponder registers both be updated regards air/ground status? Can an ADS-B In/Out equipped aircraft increase ground station coverage? What accuracy is required in todays ADS-B position reporting?